I’ve made this video to demostrate how the the yamaha VSS30 can mangle the internal waves. Everything is done only with the VSS , no external efx and NO samples. Cheap is not always bad, and toy keyboards are not always and only toys. 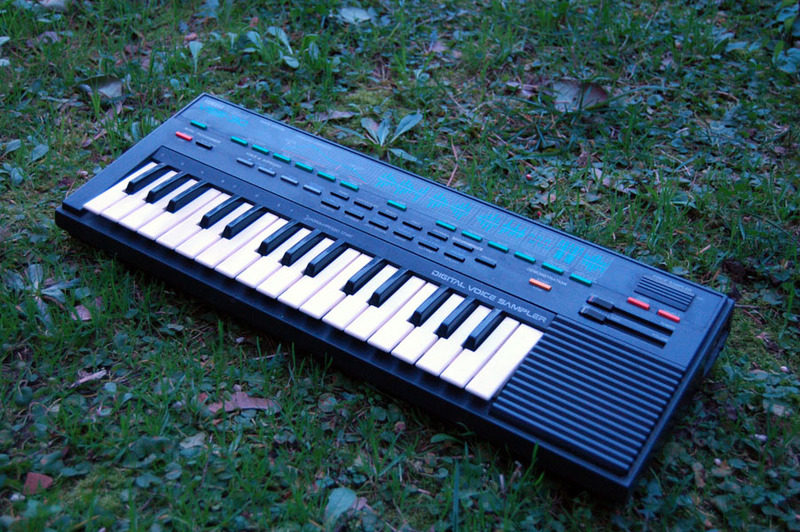 This is the case of the Yamaha VSS30, a toy keyboard from the late 80’s, that’s today a widely used musical intrument for experimental musicians and not a child/school keyboard. The reasons why the vss3o is so appreciated for particular musical genres are its sound and the manipulating capabilities. The engine of the keyboard is an 8bit sampler with synthesis capabilities, that can sample and resample layering sounds. All the edit is done with buttons on the front panel without any menu , and the variations are realtime effective. The preset sounds are samples of DX7 presets , I presume, from the sound that is quite synthetic and not natural. But the more gorgeous power is in the capability of mangling the sample with the efx/synthesis. Every effect is editable with the data entry buttons. So as the adsr can shape the loop and u-turn can create some really particular loop textures if used as pads, and the FM and AM can go from low tremolo/articulated low pitchmodulation , to fast tremolo and vibratos/FM sounds. The overwrite function layer the sample in memory with incoming audio material creating a new sample. All in all this is a little but awesome LO-FI experimental machine, as it’s the only toy keyboard that can do all these things without modding (as the VSS200, a larger version of the VSS30). The sound is warm, “pixelated”, lo-fi, and every sample sounds really different from the source. It’s perfect for IDM, experimental music, but also for pop or mainstream as many professionals use it in their recordings like Sigur Ros, Portishead, Trent Reznor, Autechre, Bjork.